How To Brew Beer, And What Equipment Is Needed For Brewing Beer? Beer is a drink that has fans from all over the world. It is something which has been a fairly common thing since the beginning of time, for humans have always consumed alcohol in one form or another. For many people, drinking it is usually sufficient. But there are others who are interested in more than just its flavor. They are indeed interested in other aspects of beer production, such as the ingredients that go into it, the equipment that is used, the way it is prepared among others. Indeed, the brewing of beer is an interesting subject unto itself, and there is much to be known about it. In other words, brewing beer is something which happens to be a subject unto it. There is much to be said about the process of making beer. A simplified explanation of how the beer-making process works is given in the list below. It all starts with the ingredients. Beer is produced through the fermentation of grains such as barley, rye corn or wheat. The grains, upon fermentation, produce the main constituent ingredient of any alcoholic drink that you find in the market shelf. It is important that the sourcing of the beer is done in a way that is economically viable, for it will ultimately add up to the overheads that the company has to pay. Also to note is that the final price of the beer will also have to be passed on to the consumer as well. Malt Preparation –The first step of the grain preparation process involves the germination of the cereal grains such as barley, wheat, etc. The process involves the soaking of cereal grains until they germinate, after which they are dried with hot air. Grain Milling –This is the next step of the beer preparation process. The different types of malt are crushed together. This process helps to break the grain kernels, after which the sugars in can be extracted. This end product is known as ‘grist’. Mash Conversion –This is the process where the grist is mixed with heated water. The process takes the help of natural enzymes, which results in the breakdown of the starches into simple sugars. Lautering –This is a process that follows the mash conversion, where sweet liquid called wort is separated from the husk. Wort Boiling –This is the process where the wort is boiled in a vessel called a kettle. Once this process is done, hops are added to the mix. Wort Processing –This is the last process in the preparation of the ingredients, after which the batch is sent for fermentation. The wort is separated and cooled from any residue that exists in the mix. The fermentation process requires the presence of small microbes called yeast. The yeast digest the sugars present in the mix and in the process produce carbon dioxide and alcohol as a waste product. It is this alcohol which is then refined for purposes like consumption. Coming to the actual equipment necessary for the brewing of beer, there are a few things that are vital and necessary. Each step of the ingredient preparation process mentioned above come with their own set of requirements. What this means is that there is a need for a separate set of tanks and equipment for every step involved in the ingredient preparation process. This is the process where the actual beer gets produced. The ingredients such as malt are allowed to ferment in the presence of yeast in these large tanks, over an extended period of time. The exact time for this may range from a few months to several years. Indeed, the longer the fermentation process lasts, the better the taste is considered to be. Originally made out of wood such as oak, it is today made from stainless steel, which is in fact a standard industry practice. 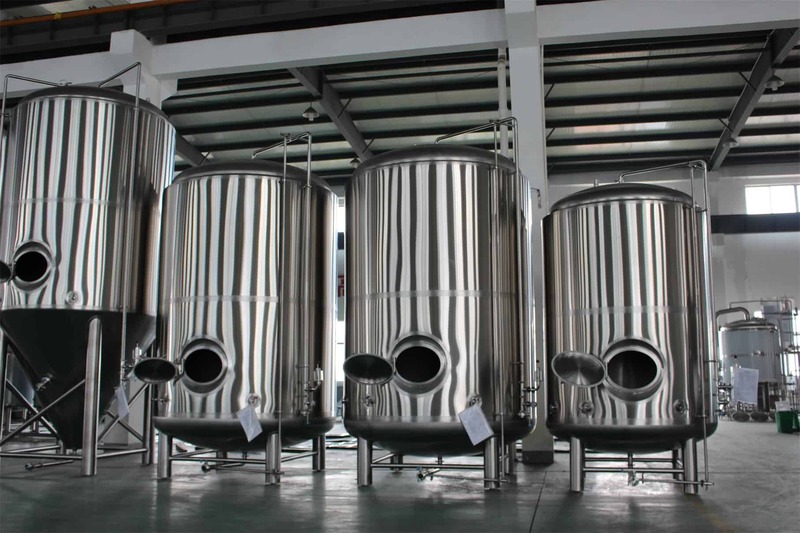 It is in these large tanks that the beer is first prepared, before other production stages, such as refining or packaging begin. At the same time however, it is not necessary that the fermentation tank be made from stainless steel. On the contrary, there are many people today who still have a sense of nostalgia for the past, and continue to use the iconic barrels that have been used for ages. In addition to this, there are other considerations that may need to be addressed as well. Given that the quality of the beer, in particular the flavor, requires the use of wooden caskets, this is a consideration that has to be addressed. The reason for this is because the wood often adds its own flavor to the fermenting ingredients, and enhancing its overall quality in the process. Last but not the least, there are occasions where ingredients are fermented in open tanks as well, depending on the final brew requirement. Once the ingredients are fermented, the next thing that is to be done is to pasteurize the mass. This is done in order to kill any and all microbes that might be living in the beer. It is something required in order to ensure that the beer is safe for consumption. At the same time however, there is a small exception made in the case of ‘draft’ or ‘draught’ beer, where there is no requirement for pasteurization. Once the beer has been fermented from the ingredients and pasteurized, the next process involves the production of the final beverage. This is something that requires a process that involves multiple stages. Among them all, one of the most important includes the removal of any stray residue and organic matter from the fermentation process. Other aspects of this include making sure that the beer moves through the various processes in a steady way, so as to maintain the level of carbonation and overall flavor. Once the refining process is completed, the finished product is sent off for packing. The packaging stage involves the packing of beer into the iconic bottles and cans that many people are familiar with. During packaging, the beer is usually combined with additional carbon dioxide in order to help maintain the overall aroma and texture. In addition to this, the stage also involves other aspects such as the addition of label graphics, designs, logos and other branding elements. These also include health warnings such as those which inform people to restrict the amount of alcohol they consume, or the dangers of drinking and driving. The products are then shipped to a warehouse for further distribution, or directly sent to markets far and wide. This may be done with the use of the company’s own distribution network, or one which is outsourced to a third party. As a whole, the above gives a rough idea as to the way in which the beer production process works, from the beginning until the end, as well as the equipment necessary for doing the same. Do note that there is indeed a lot more that goes into the final product as well. The details mentioned above only give a rough idea as to how the whole process works, rather than being a details explanation. https://yolongbrewtech.com/wp-content/uploads/2019/02/brite-beer-tank.jpg 1239 1653 yolongbrewtech https://yolongbrewtech.com/wp-content/uploads/2018/06/logo-s.png yolongbrewtech2019-03-30 02:29:232019-03-30 02:29:23How To Brew Beer, And What Equipment Is Needed For Brewing Beer? When it comes to beer, it is well known fact that there are more than enough varieties to go around. Whether it is the flavor, ageing or anything else, beer comes n a variety of different styles, each of them having something very distinct and separate from the rest. This is true whether you are talking about regular or craft beer. For those who would like to know about craft beers, they are the beers made by what are called craft breweries. The craft breweries in turn, are those breweries that can be described as small breweries, typically run by a family or sometimes a small company. Simply put, they are the exact opposite of most mainstream beer companies, which are large companies operating across multiple markets and offer a range of different alcohol varieties. They are generally more expensive than the mainstream varieties of beer, given that they are produced in small batches, and often have the brand image of being distinct and special. Craft beers are today one of the most popular varieties of beer around. Popular for their unique taste, flavor and more, craft beers are preferred by many over mainstream beers. Coming to craft beer, it becomes clear on closer examination that there is indeed a great variety of it almost everywhere. There are in fact several different varieties of craft beer around. Each of them have their own unique characteristics, and are often specific to locations as well. At the same time however, there are two major variants of craft beers according to most people. They are ales and lagers. Ales are the most commonly found craft beer varieties around. In addition to this, they are also the older of the two varieties, with a history that goes back thousands of years. Ale is a generic term, and has several different varieties under it. Ales are prepared using a style of brewing, where the fermentation is done at a fairly rapid rate, with the help of top-fermenting yeast and the process is carried out in a warm environment. The process of preparing ales can be done in about one or two weeks. An important thing to note about ales is that they are generally cheaper than lagers. Given their short preparation time, the cost of producing ales is very less in comparison to lagers. It is one of the main reasons why ales are consumed more widely than lagers. Ales can be served at a variety of different temperatures, whether it be chilled or at room temperature. Pale Ale –The pale ales are light colored and have a sharp and very bitter flavor. Brown Ale –The brown ales can come in a variety of different colors, ranging from reddish to brownish. Brown ales have a fairly mild flavor in comparison to other ales. Porters –porters are a dark variety of ales and come with a flavor described as being similar to chocolate, coffee or roasted grains. Stouts –Another variety of ales are stouts. Stouts are a dark variety of beer, which come in a rich flavor like no other. They are described as being thick in comparison to other beers, with the flavor itself being similar to that of coffee, chocolate or molasses. Another variety of craft beer that is widely consumed is lagers. Lagers are not as common or popular as ales, although they can be found in just about all craft breweries. The lagers are made using bottom-fermenting yeast, with the fermentation process done at fairly colder temperatures. The process of preparing lagers is generally long and can last several weeks or even months, due to the cold conditions that it is prepared in. Also to note is that it is generally more expensive than ales, given the longer period of time it takes for the preparation process to complete. It is for this reason that lagers are generally preferred less, in comparison to that of ales. The cold fermentation process is great for the finished product, as the beer is described as having a clean, smooth and crisp taste. In general, many brewers believe that this is one of the best ways to prepare beer, as it helps the fermentation process to take place in a steady and smooth manner. Also to add here is that while other beers are served at room temperatures, it is not the case for lagers; the serving of lagers is always done at a cold temperature. Pale Lagers –Pale lagers are easy to recognize, due to their distinct color and body. The lagers have a very light and refreshing taste, and come highly carbonated. Marzens –Also called Oktoberfest beer, they come in a dark copper or amber color, and have a toasty rich flavor. Also to add here is that marzens tend to be maltier in comparison to other lager varieties. Pilsners –These are some of the lightest lagers around, and have a fairly bitter and distinct flavor. In addition to this, they are also highly carbonated. Bocks –Bocks are a very unique kind of lager, known for their distinct taste. The taste of bocks is described to be a mix of sweet and bitter, and can come in a variety of different colors. In addition to this, bocks also come with a largely malty flavor in comparison to other beer varieties around. Do note that there are indeed other styles of beer as well, which have not been covered here. This is especially the case when it comes to the different kinds of ales and lagers. In all, craft beer comes in a variety of different styles, each of them unique in their own way, whether it is flavor, taste, alcohol concentrations or anything else. This makes craft beer one of the most interesting of all, when it comes to exploring the variety of beer that currently exists out there. When it comes to the manufacture of beer, there is a great deal of work that goes into it. From the equipment that is used in the manufacturing process, to the actual ingredients, many things influence the finished product. For many people who are into beer, it is an aspiration to begin their own brewery, and create their own line of products for the marketplace. And if there is one thing such people would like to know, it’s about trying to judge the quality of the beer making equipment. This is understandable, given the central role it plays in the beer making process. There are several things that need to be looked into, when judging the quality of small beer equipment. Given below in the list are some of the things worth looking at. One of the biggest factors that go into the judgment of beer equipment is the reputation of the manufacturer. This has to do with the fact that the more reputed the manufacturer, the more likely it is that the equipment itself will be reliable. And there is a good reason for this, since the reputation itself was the result of the company providing good quality products and service over an extended period of time. Another thing that has to be looked into would be the production capacity. This in turn, will be based on the estimated production capacity of the craft brewery itself, which tends to be different from one unit to another. 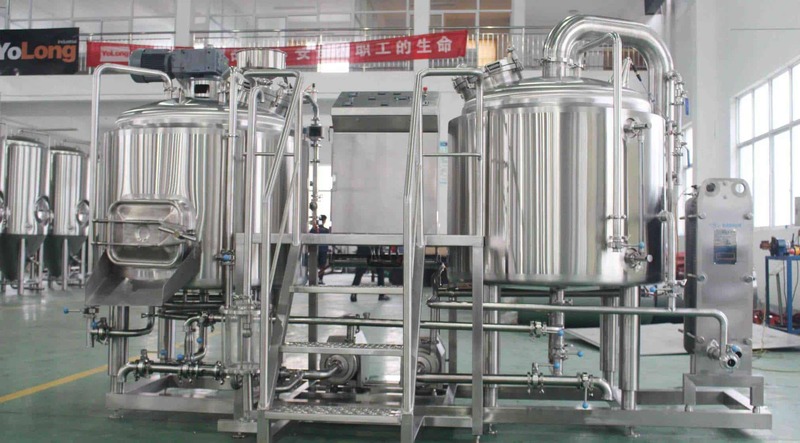 Beer equipment comes in a variety of production capacities, ranging from those meant for small households to large industrial ones. This in turn means that the production capacity of the beer equipment can vary dramatically, based on the equipment being focused on. Another concern that has to be addressed is with regard to the equipment efficiency. Just about any container that is airtight will do at the end of the day, when it comes to fermentation. As long as it can be sealed off from the outside world, one can make alcohol with relative ease. But that is just one aspect of the equation. What is especially important here is that the process has to be efficient. Breweries are businesses at the end of the day, meaning that the beer manufacture process has to be done in a way that is economically viable. What does this mean for the equipment? What it means is that in general, the equipment must remain economically efficient and viable at all times. It should permit for the alcohol formation process to take place in a way that is fast, uniform and low on maintenance. All of these will collectively add up in the end, when it comes to the management of the company’s revenues and overall sustainability. Another aspect of the machine that needs to be looked into is the guarantee and warranty on the equipment. When purchasing anything, it should be known that there is always an element of risk involved ranging from the minute to the disastrous. This means that any beer manufacturer has to look into the reliability of the equipment being considered in terms of guarantee and warranty. While the concept is fairly simple and easy to understand on a general level, it does vary when it comes to doing so on an industrial scale. One of the most important overheads that a company often deals with is that of its premises. This includes, among others, place for the factory itself, warehouses, various storage facilities, etc. All of these things will add up to the final cost when it comes to financial viability. The reason for this is because the overheads for running a factory, is usually more than almost everything else. Therefore, it is important that the equipment occupies as little space as possible, without compromising on the final quality of the beer. Also, this will especially be problematic when it comes to small breweries, which are limited in terms of how much money they can afford on the same. While there is a certain limit to how much any equipment can be restricted in size, it can certainly be done in a way that works out for the owners in an economical way. In simple words, the equipment under consideration should fit in the existing space without causing any problems. The fact that equipment exists and will work out for a company is great. But at the same time, another issue that is to be addressed is that of logistics. It is true that there are many equipment suppliers available for the beer industry. At the same time however, there are a few other considerations that must be taken into account as well. These considerations are that of logistics and transportation. For one thing, it should be known that shipping costs tend to add and often greatly increase the final bill. Another thing to be added here is that the equipment, if being imported from another country, is often subjected to custom duties and taxes, which will once again add up to the final bill. What this means is that the final cost of the equipment could possibly increase by several times, if these factors are taken into consideration. Therefore, it is always a good idea to go for equipment that can be acquired in a way that is light on the wallet, but which serves the purpose without any compromise on the beer’s final quality. If there is one thing that is common for almost anything that you purchase, it is that they break down. Things break. That’s just how everything works. And if they do break down for whatever reason, you should be able to get the appropriate individuals who can help you in fixing the problem. This is where things can become problematic. Getting the equipment is one thing. But it is also important that you are able to fix it whenever any problem emerges. Also, the solution for the problems should be economically viable, and shouldn’t cost a fortune for the business. What this means is that the equipment should come with the right kind of aftercare, including, but not limited, to friendly customer service, locally available service professionals and affordable equipment service rates. In all, these are some of the most important characteristics to consider, when it comes to judging the quality of small beer equipment. There are indeed others as well, but these are by far some of the most important. What Equipment Do Breweries Usually Use To Measure Pressure During The Beer Production Process? Alcohol has been a part of human societies for a very long time. With its many variants, in terms of preparation styles and concentrations, it has been an integral part of daily life throughout the world. One such variant happens to be the beer. The beer industry is today one of the largest beverage sectors of the economy, and worth billions across the world. Also, the industry is expected to grow well into the near future, given that the market is steadily increasing throughout the world. When it comes to the actual manufacture of beer, there is a lot that goes into the making of the finished good. Indeed, if there is one thing many people are interested in knowing about beer, it would be the details about the actual preparation. Not many people are into beer just for celebrations. On the contrary, they are interested in the way it is produced, as well as the many elements that are involved in its preparation. Of the many things that go into the manufacture of beer, there is one thing that stands out more than anything else; the measurements. If there is one thing about the beer industry that is to be noted, it is the way attention is paid to detail. Given that the smallest variations can alter the taste of the finished product, brewers pay a lot of attention to ensure that the ideal conditions during the beer preparation process. Among the many values that are to be measured at the time of beer preparation, one of the most important is pressure. When it comes to measuring the pressure in breweries, there are a few pieces of equipment that are used. Of them all, one of the most important is a device called a Manometer. Manometers are used extensively across the beer industry, to measure pressure during the beer preparation process. The manometer is a standard device used for the purpose of measuring pressure. The device is not exactly something specific to the beer industry. On the contrary, it is something that can be use for a variety of applications beyond the scope of breweries. The measurement of pressure in general, is done using the international unit of measure, known as Pascal or Pa. This is however not the case when it comes to technical applications, such as beer making, where the standard for measurement is what is called a ‘bar’ or ‘pounds per square inch’. For reference, 1 bar of pressure is described as 100 kPa. The manometers measure the pressure in relative terms, where the pressure within a system is compared to the ambient pressure. Carbon Dioxide –Carbon dioxide is a byproduct generated when the ingredients are fermented by the yeast. This is something which is common in both the fermentation as well as the lagering tanks. Piping Systems –There is a lot of transfer of liquids throughout the beer manufacturing process, whether it is the water, waste or the alcohol itself. From the time when the fermentation process begins, until the time when the finished beer is packaged, there is a lot of piping that is required to keep the entire system running. Dispensing Systems –This is another place where there is a need for manometers. Given that the movement of beer has to be done at a stable rate, in order to maintain its consistency and flavor, there is a need to maintain a steady pressure throughout the system, which manometers help in ensuring. Pneumatic Valves –The control of liquids and gasses across the breweries are done with the help of pneumatic valves. This is yet another place where the use of manometers can be found. Bottling Process –The bottling process is one of the last processes in the beer making process, before the finished products are shipped to warehouses or the markets. This is another place where the measurement of pressure is required, so as to ensure a secure and sturdy seal. The Working of a Manometer – The average manometer can come in a variety of different constructions. The manometers used in the modern day beer industry are usually those made from spring-loaded devices. These tend to be round and made using a variety of materials such as plastic, stainless-steel, copper, etc. The element which senses the pressure is usually made from a bourdon tube or a diaphragm. The way in which the device works is usually with the help of what is called the ‘Piezoelectric Effect’, where movement (when applied on certain materials or crystals) is converted to electric charges. These charges in turn are converted into readings and measurements. Other ways in which the measurements are generated include, among others, strain gauges, inductance measurements, etc. These are also fairly common throughout the beer industry. The device consists of an entry point, where gases or liquids are allowed to enter. Upon entry, they act on the detecting mechanism, which in turn generates the necessary readings. In addition to this, they also contain another point for the entry of the medium in the surrounding environment, the measurement of which helps in the generation of relative readings. The Measurements – Given that the environment in the beer manufacturing process tends to change from time to time, the readings in the manometer are taken at routine intervals. This helps to ensure that the pressure in the system remains stable at all times. The exact standards for taking these measurements will vary from brewer to brewer. There is no specification with regard to how frequently the measurements are to be taken by the people managing the brewery. As a whole, there is indeed other equipment as well that are in use across the beer industry. The above mentioned list is just some of the most important and commonly ones that can be found across the modern beer industry. 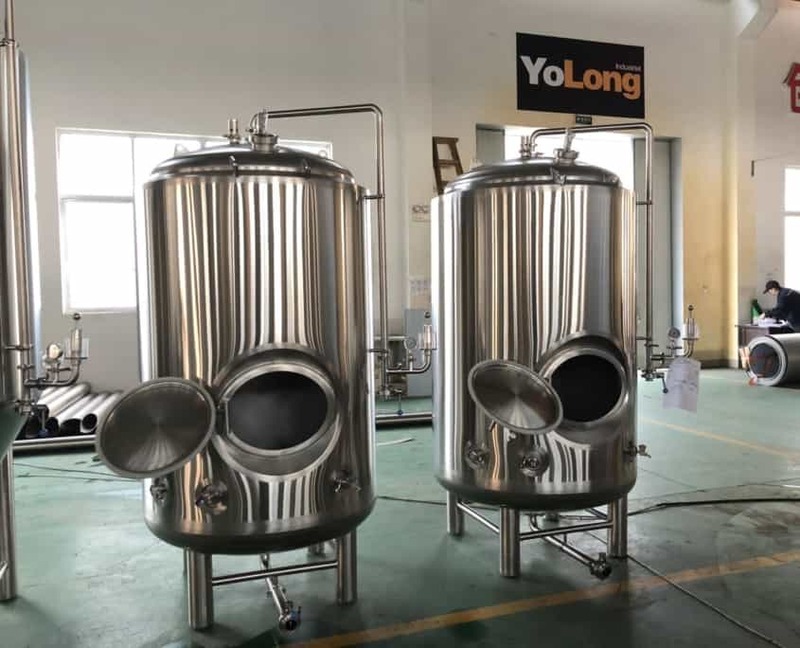 https://yolongbrewtech.com/wp-content/uploads/2019/02/brite-tanks.jpg 1209 1814 yolongbrewtech https://yolongbrewtech.com/wp-content/uploads/2018/06/logo-s.png yolongbrewtech2019-03-27 03:19:042019-03-29 01:37:17What Equipment Do Breweries Usually Use To Measure Pressure During The Beer Production Process? Why Is Craft Beer So Expensive? When it comes to alcohol, there is one thing that is very much clear. All alcoholic beverages, with very few exceptions are pricy by nature. This happens to be the case due to several reasons, one of the most important being that the manufacturing process is very expensive. There is much that goes into the manufacture of beer. 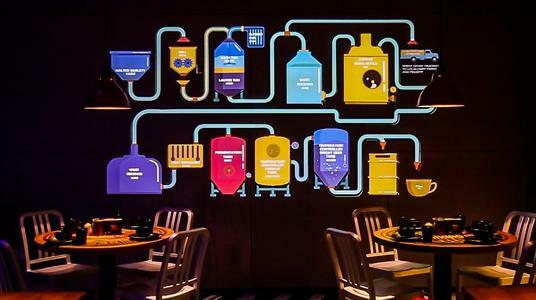 From its ingredients to the preparation process, the manufacture of beer is no easy task. Much effort is required to ensure that the preparation of alcohol is done in the right manner. Of the many things considered important for the manufacture of alcoholic drinks, one of the most important is the fermentation process. Alcohol is prepared by fermenting starches, with the help of yeast. The yeast helps to break down the sugars into alcohols and is a process which can take anywhere from a few months to several decades. And then there is the issue of packaging, distribution, brewery management, salaries, etc. All of these factors will ultimately play a role in influencing the final price of beer. While that is understandable, there is still one thing that many people don’t understand. It is with regard to the price of what is called ‘craft’ beer. In other words, they wonder as to why craft beer is so much more expensive, in comparison to regular beer. In order to understand this, it is important to understand the nature of craft beer. Craft beer is in simple terms the beer that is made by small breweries or microbreweries, which are sometimes called as craft breweries. The business model of these breweries is based on small production batches, emphasis on brewing techniques and attention to the alcohol’s flavor. Also, the businesses tend to be family owned or at most, a small company. Coming to the reason as to why craft beer is so expensive, there are several reasons as to why this is the case. The most important reasons for the same have been given in the list below. If there is one thing that is familiar to every economics student or for that matter anyone who understands the market, it is that the more you produce of something, the cheaper its price will be. A corollary of this is that the less of something you produce, the more it will cost. In other words, it’s just a case of simple demand and supply economics. Simply put, the average craft brewery tends to produce beer in very small batches, which drives the price up. To a large extent, the high prices are a result of necessity rather than choice. Many craft breweries tend to operate as family businesses, or perhaps small companies. And if there is one thing that is common to many of them, it is a certain ‘interesting’ and ‘unfamiliar’ taste. Quite often, this taste difference is the result of recipes handed down from generations, or perhaps recently invented. This ‘premium’ taste that the beer offers tends to be one of the reasons why the product is high. This is not the case with all breweries. But at the same time, there are some cases where this point applies. Taxation is something that all companies have to deal with. This is true for the beer industry as it is for anything else. And when it comes to taxes, larger companies often find ways of reducing their tax burdens, either through the help of government subsidies or good chartered accountants. This is however not going to be so for small companies, which are limited in terms of their budget and may not have access to suitable governmental subsidies and other such policies. The end result of this is that the cost of the tax will ultimately be passed on to the consumer. In addition to taxes, there is also import duty charged whenever a product is imported into a country. In case the craft beer is imported into the country, rather than being prepared in it, there will be a certain percentage levied by the customs agency for importing it. Another thing that is to be added here is that craft beer tends to have a higher ABV (alcohol by volume) percentage, in comparison to regular beer, which in turn affects the amount of duty that is levied on it. Another important reason as to why the prices are very high is the brand value. There are many companies that tend to charge a premium based on the name of their brand. This has nothing to do with actual scarcity of the product or for that matter anything else. It is just case of capitalism and nothing more. And this is very much understandable, if you look at the situation from a capitalist perspective. The company is only doing what anybody would do, if they were backed up with a great reputation. This isn’t really specific to craft beer but rather something which applies to the entire beer industry. In recent times, there has been an increase in the global prices for raw materials like barley and hops. The increase in prices in turn, have been due to a variety of reasons like crop failure, increased global demand, changes in land use patterns, urbanization, etc. The cost of purchasing raw materials that have been incurred by these breweries, have in turn been passed on to the consumer by the companies. Another important factor that makes craft beer expensive, in comparison to regular beer, is the distribution cost. Large companies often possess their own distribution channels, or at least make deals that work out in terms of affordability. This however, is not the case when it comes to small brewers, who have a hard time bringing their product to their consumers. This is another reason as to why craft beer tends to be higher than regular beer. As a whole, the above mentioned reasons are some of the most important as to why craft beer is usually expensive. There are indeed other reasons as well, but these are by far the most important as to why craft beer is more expensive than regular beer. https://yolongbrewtech.com/wp-content/uploads/2019/02/Improve-perfomance.jpg 2736 3648 yolongbrewtech https://yolongbrewtech.com/wp-content/uploads/2018/06/logo-s.png yolongbrewtech2019-03-26 09:04:172019-03-29 01:38:23Why Is Craft Beer So Expensive? 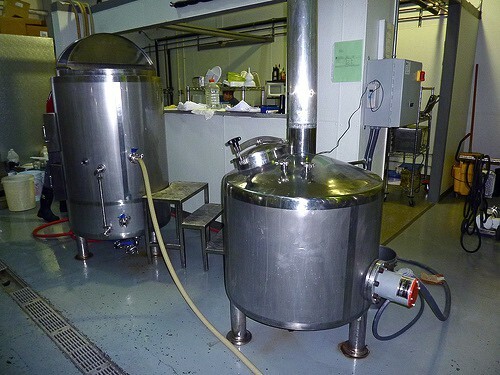 Why Are Most Brewery Equipment Made Of Stainless Steel? The alcohol industry is one of the largest in the entire world. With annual revenue that runs into billions of dollars, it is by far one of the most important industries in several economies. And this is true for almost all kinds of alcohols, ranging from beer to whisky and everything in between. 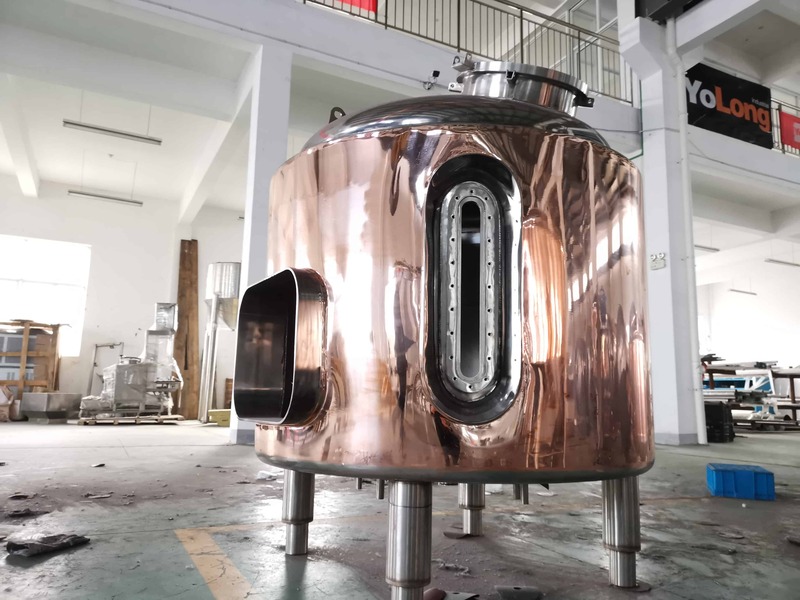 When it comes to the preparation of beer, one of the many things that people notice is that much of the equipment happens to be made of stainless steel. It is very rare that the standard equipment used in breweries is made of anything else. There was a time in the history of beer, when the drink used to be fermented in caskets made out of wood such as oak. In fact, most people still think that the beer they drink is produced in these barrels, when the reality is actually quite different. The fact is that almost no modern brewery produces alcoholic drinks in traditional wooden barrels; even if they do, it is largely done as a ‘tradition’ or ‘relic’, rather than standard industry practice. The fact is that most modern breweries produce alcoholic drinks in stainless steel barrels or tanks, with some exceptions. One of the most important reasons is simply because of the way the industry has evolved. The change of material happened to be a part of the larger industrial transformation. This is by far one of the biggest advantages of using stainless steel equipment. When compared to wood caskets, it is very easy to maintain steel equipment. From unwanted residues to waste products, it is possible to have all of them eliminated with ease in the case of stainless steel equipment. The reason for this is simple. Stainless steel is tough and offers a fairly smooth and sleek surface, which allows for the use of everything from abrasive cleaning tools to harsh chemicals, which is simply not possible in the case of wood. Wood, on the other hand, offers a fairly rough surface, which tends to chip, break and warp with the passage of time. All of this makes it very difficult to wash and maintain the equipment. Another advantage of stainless steel equipment is that it is leak proof. There is simply no chance of leakage, unless there is a hole of some sort. Given that the material is fairly tough, it is very difficult for any sort of leakage to emerge from stainless steel equipment. This is however not the case when it comes to wood. Although wooden caskets and other such equipment are fairly tough and waterproof, they aren’t really one single unit, but rather made out of numerous individual units. In the long run, the spaces between these units or pieces can give way, allowing for leakage. This is one of the biggest reasons why stainless steel has become popular. One of the biggest problems that old breweries had was that the caskets, among other equipment, would fall apart with the passage of time. This was because most of them were designed from wood, which tends to decay with the passage of time. Whether from external factors like rot or insects like termite, the fact is that wood always degrades with the passage of time. Stainless steel on the other hand is a very long-lasting and rigid material, and doesn’t have issues related to iron such as rust. With very few exceptions, there is no loss of structural strength or integrity in stainless steel. As a result of this, people using stainless steel in beer manufacturing found it to be a very effective and efficient material choice. Another important point that is to be mentioned here is the ‘absorption’ issue. Wood tends to contain a variety of materials, which may ‘leach’ into the beer. While some of it has been used to provide a ‘flavor’ to the beer, it may not always be the case in others. On the contrary, there is a possibility that anything harmful that might have existed in the wood might end up contaminating the beer. Stainless steel on the other hand, is not something that ‘leaches’ any chemicals into the beer. On the contrary, it tends to maintain a steady flavor in the beer throughout the fermentation process as well as beyond. The manufacture of traditional equipment usually involved the usage of wood like oak. While plentiful before and in many cases even now, the fact is that it does require a great deal of timber to manufacture the equipment of any standard brewery. This has considerable environmental impact when applied on a large scale, often leading to the loss of great many trees. In addition to this, not all trees can be used for the manufacture of beer equipment, since they need to be of a certain thickness before they are ready for harvest. And given that the beer demand is rather large in many countries, it would be environmentally destructive to have all of the beer made in wooden equipment. This is where stainless steel is a great choice. Given that it involves no trees altogether, it serves as a useful replacement alternative for the beer industry. In this regard, stainless steel is a fairly eco-friendly alternative, in comparison to the cutting of trees. 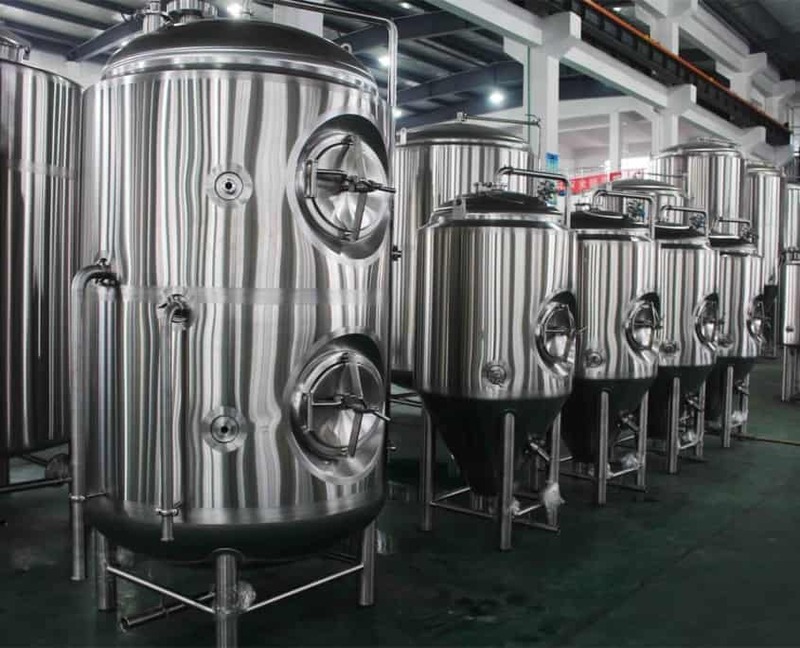 In all, the above mentioned reasons are some of the most important reasons as to why beer is manufactured using stainless steel equipment. It should also be added that the industry hasn’t entirely shifted to the use of stainless steel. On the contrary, there are many people who still cling on to the old ways, largely out of nostalgia for tradition and history. But the fact is that stainless steel is here to stay in the beer industry, and will be around for a very long time. https://yolongbrewtech.com/wp-content/uploads/2018/06/stacked-HLTCLT.jpg 967 1451 yolongbrewtech https://yolongbrewtech.com/wp-content/uploads/2018/06/logo-s.png yolongbrewtech2019-03-26 09:00:342019-03-29 01:39:59Why Are Most Brewery Equipment Made Of Stainless Steel? Nano Brewery, Your First Step! We have all heard a lot about nano breweries recently and most of us are aware of what it would be like because of the obvious name. No matter how much we hate science, we all admit that terms like micro, nano, pico is something we learnt through it, for people who love science, well this concept is now not just limited to your field. Nano breweries system have been a new trend for quite a while now and have been a profitable way to earn some one of the basic necessity of life: MONEY! As the name suggests, it is a small set up and is assumed of producing maximum three barrels of beer in one batch. Another specification about this type of brewery could be regarded as the breweries which can make up to 2000 barrels in one year. We do agree that it is a nano brewery (considered to be quite small) but it does not in any way offers that the rules that are applied to micro or any other kind of breweries could be exempted for this one, you still have to abide by all the laws imposed by the state for brewers. We all know that the importance of craft beer is increasing day by day and if you consider yourself to be an expert at that, micro brewery is the best way to test it. Since it is not a large scale business, you always have room for experiment. You can try different combinations and come up with the best one which is appreciated by the public of your locale. Business has always been and will always be risky. One cannot be hundred percent sure that the start-up they are thinking of will be a great success; this in no way means that being optimistic is a bad thing. You do need to play risky but the risk doesn’t necessarily have to be a big one, especially when you’re give an option to try it out at a much smaller and safer level, as in the case of nano brewery. From the past few years, it can be inferred that nano brewery is a success and that if you try it, there is a high percentage that you will also succeed. However, you do need to be strategic and come up with a plan because you surely do not want to stop at nano brewery. Remember, it is just your first step! We hope that these factors will help you in deciding whether you should opt for nano brewery or not. Whatever your decision may be, good luck for that! https://yolongbrewtech.com/wp-content/uploads/2019/02/nano-brewery.jpg 375 500 yolongbrewtech https://yolongbrewtech.com/wp-content/uploads/2018/06/logo-s.png yolongbrewtech2019-02-22 03:52:032019-03-19 03:08:23Nano Brewery, Your First Step!